Mannitol is a colourless sweet-tasting, poorly metabolized crystalline alcohol sugar. In plain English: Mannitol is a sweetener. Stick it on your tongue and it tastes like sugar (it is also known as manna sugar). Therapeutically, mannitol is Food and Drug Administration (FDA)-approved as an osmotic diuretic agent – a treatment that inhibits the re-absorption of water and sodium. It is widely used in the management of cerebral oedema and raised intracranial pressure. Mannitol is also used to protect the kidneys during cardiac and vascular surgery, and during kidney transplantation procedures (Click here for a review of uses of mannitol). Ok, and how is it associated with Parkinson’s? Title: A blood-brain barrier (BBB) disrupter is also a potent α-synuclein (α-syn) aggregation inhibitor: a novel dual mechanism of mannitol for the treatment of Parkinson disease (PD). Authors: Shaltiel-Karyo R, Frenkel-Pinter M, Rockenstein E, Patrick C, Levy-Sakin M, Schiller A, Egoz-Matia N, Masliah E, Segal D, Gazit E.
Journal: J Biol Chem. 2013 Jun 14;288(24):17579-88. In this study, the Israeli researchers were interested in the ability of osmolytes to stabilise proteins, particularly their ability to help reducing neurotoxic caused by misfolded, aggregated proteins. 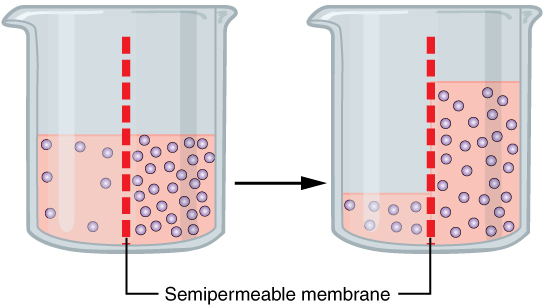 Osmolytes are simply compounds that affect osmosis, which is the movement of water from a less concentrated solution to a more concentrated solution. For a long time, osmolytes have been reported to stabilize proteins against stress conditions, which has resulted in them being attributed neuroprotective properties. Mannitol, for example, has been shown to be neuroprotective against cerebral ischemia (inadequate blood supply to parts of the brain – Click here and here to read more about this). The researchers in this current study, however, were interested to determine if mannitol could inhibit the clustering (or aggregation) of the Parkinson’s-associated protein alpha synuclein. It is believed that that aggregation of alpha synuclein is one of the pathological hallmarks of Parkinson’s, and thus any substance that inhibits that aggregation would potentially be beneficial. The researchers used different concentrations of mannitol and added it to a solution that contained alpha-synuclein protein. They left this concoction shaking for 6 days (at 37°C) and then assessed the levels of aggregation. Curiously the low levels of Mannitol had the strongest inhibitory effect, while the higher concentrations had no effect. The researchers repeated the experiments several times and found similar outcome. Given this interesting result, the investigators next turned their attention to animal models of Parkinson’s in which high levels of alpha synuclein protein were artificially induced. These studies began with a genetically engineered fly that produces a lot of alpha synuclein. The researchers found that mannitol treated flies performed significantly better on behavioural tests (such as climbing), and had significantly less alpha synuclein aggregation in their brain (when compared to untreated flies). The researchers repeated this fly-based study in genetically engineered mice (which produce high levels of alpha synuclein). The investigators found that mannitol-treatment was very effective in reducing the levels of alpha synuclein aggregation in these mice as well. In addition, the investigators found that mannitol administration in mice was followed by a significant increase in the level of the HSP-70 protein. 70 kilodalton heat shock proteins(or Hsp70) is a family of heat shock proteins. Heat shock proteins are referred to as molecular chaperones. 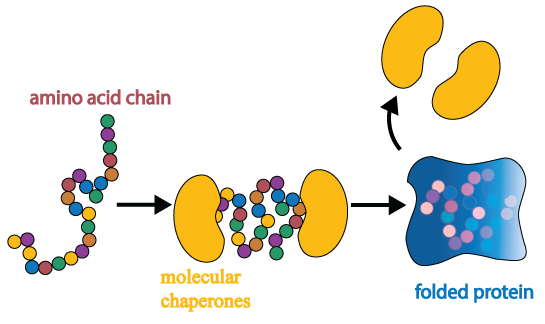 Molecular chaperones are proteins that assist in the folding (or unfolding) and the assembly (or disassembly) of other proteins. They are like the make-up artists and wardrobe departments back stage at the theatre, making sure the actors are correctly dressed and ready for the big stage. A newly-formed amino acid chain can fold itself into a protein, but the assistance of molecular chaperones helps ensure that everything proceeds smoothly and quickly, regardless of whatever other events might be occurring in the cell. Title: Proteasomal inhibition by alpha-synuclein filaments and oligomers. Authors: Lindersson E, Beedholm R, Højrup P, Moos T, Gai W, Hendil KB, Jensen PH. Journal: J Biol Chem. 2004 Mar 26;279(13):12924-34. 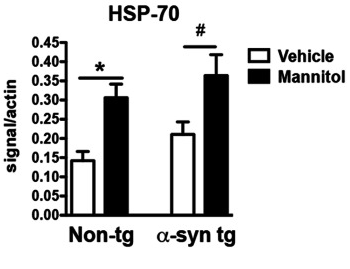 In this study, the researchers found that HSP-70 binds to the toxic form of alpha synuclein and inhibits some of the disfunctional activities it has inside of cells. This result is supported by other research that demonstrated that increasing HSP-70 levels in flies rescued dopamine cell loss in an alpha synuclein-based model of Parkinson’s (Click here to read more about that research). For those interested: Click here for a good review of research on HSP-70 and other heat shock protein/chaperones in Parkinson’s. Thus, the fact that mannitol treatment in mice is raising levels of HSP-70 is very interesting. And in combination with the previous mannitol results from their study, the Israeli scientists suggested that “mannitol administration in combination with other drugs could be a promising new approach for treating PD”. Interesting, so what is Clinicrowd? Foundered in June 2016, CliniCrowd is a social impact company that has built an online platform, which provides a registry for people to sign up to and share personal experiences of researched nutriments. Their goal is to explore potential treatments that Pharma companies have no interest to investigate or promote (for example, compounds that can not be patented). Sounds interesting – how does it work? The community at CliniCrowd “searches for nutriments that are safe for human consumption, recognized by FDA as GRAS (Generally Recognized as Safe), and have scientific evidence (in research papers) to be used to hopefully enhance wellbeing and possibly impact symptoms of diseases” (Source: CliniCrowd). People with Parkinson’s are able to voluntarily sign up on the registry and start reporting back about their use and response to a particular ‘nutriment’, such as what benefits or side effect that they may be experiencing. The sweetener Mannitol is the first nutriment being proposed by the company. After signing up on the website, “patients voluntarily register for the registry and enter their health information, purchase and administer the products themselves, and enter treatment outcome data on the website” (Source: CliniCrowd). It should be made very clear that this project is not intended to be a clinical trial of the compounds, but rather a method of filtering potentially interesting treatments that may have been overlooked by the biotech industry. What happens to my personal information when I share it with Clinicrowd? So what do the results of the mannitol study suggest? The results (which have been shared with the Parkinson’s community via various forums – such as Healthunlocked) make interesting reading. Since the launch of the project in 2017, over 1000 people with Parkinson’s from 42 countries filled in the survey to be part of the project. Despite this impressive start, only 78 of them self-administered mannitol for more than 6 months. The individuals taking mannitol conducted a self assessment/report – a questionnaire which was basically similar to available Parkinson’s rating scales (such as the UPDRS). Of those 78 participants that took mannitol for more than 6 months, 29 (36.7%) reported that their overall situation got worse, while 6 (7.7%) indicated no change, and 43 (55.1%) improved. This means that 62.8% of the participants believed that they did not see deterioration for more than 6 months. 85% of the participants reported no change in the severity of their tremors. 29 had chronic constipation – 55% said that their condition got worse, and 45% got better. 22 reported facial expression issues: 86% reported improvement and 14% reported deterioration. 15 reported Hallucinations: 80% reported improvement and 20% worsening situation. 78 reported fatigue severity: 31% showed improvement, 56% reported no change and 13% reported deterioration. 23 had reported handwriting problems of which 52% had a worst report and 48% an improved handwriting. 78 reported muscle cramp severity: 29% showed improvement, 60% had no change and only 11% had a worsening situation. 78 reported no arm-swing situation: 31% showed improvement, 54% had no change and 15% had their situation worsened. 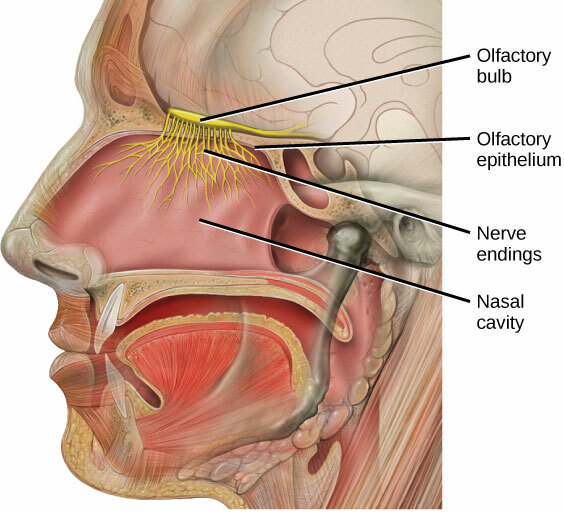 Of the 37 participants that reported they had lost the ability to smell at the start of the project (in the initial survey), almost all of them (90%) reported the return of their sense of smell after the 6 month treatment of mannitol. Wow, that’s amazing! What do we know about the loss of smell in Parkinson’s? Firstly, that it is one of the most common non-motor symptoms of the condition, sometime being present long before the actual diagnosis of Parkinson’s (Click here and here to read more about this). Title: A ventral glomerular deficit in Parkinson’s disease revealed by whole olfactory bulb reconstruction. Authors: Zapiec B, Dieriks BV, Tan S, Faull RLM, Mombaerts P, Curtis MA. Journal: Brain. 2017 Oct 1;140(10):2722-2736. In this study, the researchers analysed sections of olfactory bulbs from 6 control brains and 5 cases of Parkinson’s. The investigators found a 47% reduction in the areas of the olfactory bulb containing glomeruli in the cases of Parkinson’s, suggesting fewer and/or smaller glomeruli. Glomeruli is a spherical structure located in the olfactory bulb where connections are made between the branches of the nerves in your nasal passage and your brain. The researchers also found a very high load of alpha synuclein aggregation in the olfactory bulbs of the Parkinson’s cases – the higher the amount of alpha synuclein, the more the reduction in glomeruli. The researchers concluded “a causal relationship between α-synucleinopathy and reduction of the glomerular component of the olfactory bulb”. 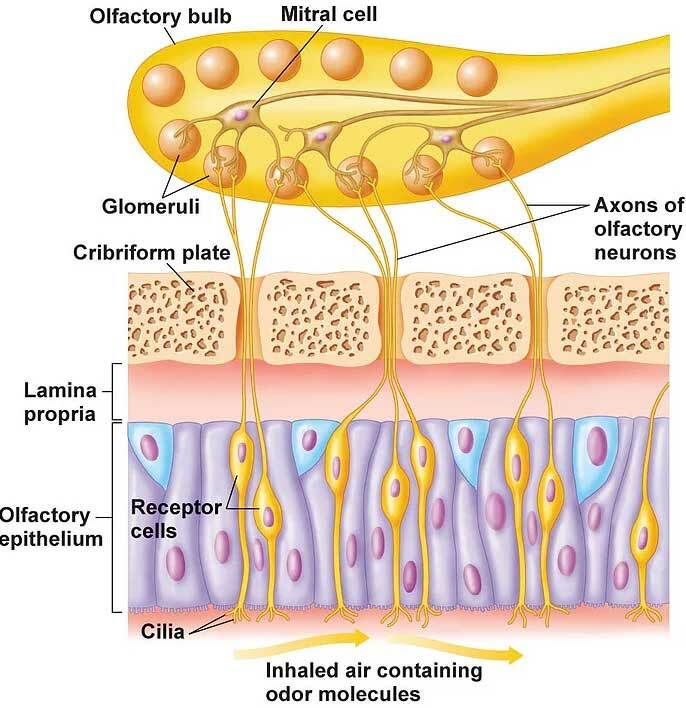 There is a large body of literature describing alpha synuclein/Lewy pathology in the human olfactory bulb (Click here for a good review on this topic), and it could be possible that mannitol may be having an effect on clearing some of the alpha synuclein that is blocking up these neurons (which may allow for better olfactory processing). I am merely speculating here and this idea needs to be further investigated, but you have to admit that it is rather interesting that almost all of the participants who couldn’t smell at the start of the project suddenly regained the ability. At low doses, yes. FDA approved and it is widely used in many processed foods. Mannitol is added to a wide variety of processed products (simply check the packaging of your shopping for ‘mannitol’ or food additive number e421 – Food Standards Agency, 2014). On top of this, Mannitol is naturally occurring. Cauliflower, for example, contains 3 grams of Mannitol per every 100 grams of weight. We are all consuming it on a daily basis. So can I rush out and gorge myself on mannitol? While the results are interesting, they are preliminary and based entirely on self assessment from individuals who were not blind to what they were being treated with. And – rather importantly – we do not know what effect mannitol may have on the absorption/efficacy of L-dopa and other Parkinson’s medications. In addition, it is fair to say that mannitol can have side effects when used at higher doses. Consumed in excess, mannitol can cause diarrhea, abdominal pain, and kidney problems (including kidney failure). Mannitol has also been associated with worsening heart failure, electrolyte abnormalities, or low blood volume. Thus, please discuss any change in your treatment regime that you may be considering with your doctor before taking any action. The results of a crowd-sourced experiment of the sweetner mannitol as a potential treatment for Parkinson’s have been made available this week and they make interesting reading. Not only for the curious effects that this compound could be having on some of the participants, but also with regards to the idea of conducting/running such a project. There are a great number of compounds that could be potentially interesting for Parkinson’s and yet they sit on the sidelines, because there is no economic incentive for pharmaceutical companies to take them to the clinic for testing. Some of these un-patentable compounds are being tested in clinical trials set up, funded and run by Parkinson’s disease charity groups, such as Parkinson’s UK, the Cure Parkinson’s Trust, and the Michael J Fox Foundation. The cost of those trials, however, is enormous, and they are long and heavily regulated processes – it can take years to determine if a medication is effective. On top of this, there is always the possibility that a particular treatment will work for a small number of study participants, but not enough for the compound to be viewed as statistically beneficial. Across a large clinical trial population this effect can result in any positive result being cancelled out, and the trial failing to show any positive outcome at all. CliniCrowd is not proposing an alternative system to the clinical trial process. It is simply providing a rapid method of filtering and identifying the agents that exhibit some level of benefit in humans with Parkinson’s. It is critical to understand that what CliniCrowd is proposing can not constitute or replace a clinical trial. Since the participants on the CliniCrowd registry would not be randomly allocated to a treatment or control group (nor would they be assessed by blinded clinical assessors), this process could not be described as scientifically valid. Any treatments that exhibit beneficial effects on the CliniCrowd website would still need to go through the clinical trial process to be considered thoroughly tested and ready for regular clinical use. In addition, what Clinicrowd is doing is providing a proactive Parkinson’s community with an alternative approach to bringing interesting compounds forward faster for investigation. And while it will be easy for the haters and the critics to poke holes in the methodology, the more constructive discussion to be had is how could the Clinicrowd approach be improved upon and made better. We can only hope that those who are quick to critique are also quick to provide creative ideas for improving the system. One obvious concern that has been raised by the research community is that the Clinicrowd mannitol project is based on the results of a single research report (which we discussed above). And it is a fair comment. But it is also fair to say that if independent replication of the results is required, why has it not be attempted? And if it has been attempted, why has it not been reported? Given that protein stabilising and neuroprotective properties have been demonstrated by mannitol and other osmolytes, it would be very interesting to see more research conducted on these compounds. Such research would certainly help to better understand the results of the current Clinicrowd report and to determine if this compound should be taken forward for proper clinical testing. And to encourage more research on mannitol in the context of Parkinson’s, any research reports published on this topic will certainly be reported here on the SoPD. If nothing else, it will be good for page views! EDITOR’S NOTE: The information provided by the SoPD website is for educational purposes only. Under no circumstances should it ever be considered medical or actionable advice. It is provided by research scientists, not medical practitioners. Any actions taken – based on what has been read on the website – are the sole responsibility of the reader. Any actions being contemplated by readers should firstly be discussed with a qualified healthcare professional who is aware of your medical history. Please speak with your medical physician before attempting any change in an existing treatment regime. FULL DISCLOSURE: The policy of the SoPD website is to not advertise products or services. This policy has been put in place from the start to avoid any ethical or conflict of interest situations. Clinicrowd is a social impact company. But given that they are not selling a particular product and simply trying to do some good for the Parkinson’s community, the SoPD is presenting an unbiased and balanced review of their efforts here. SoPD is in no way benefitting (financially or otherwise) from this presentation, and is providing it here to the Parkinson’s community for educational purposes. The SoPD approached Clinicrowd earlier this year requesting an update on the mannitol project, and this post is the result of that discussion. The banner for today’s post was sourced from Israel-agency. Thanks for your comment. Yes, since putting up the Niacin/B3 post, everyone has been asking for a thiamine/B1 review. It is in the works. Thanks for the Mannitol update. I have tried consuming 20 grams (8 teaspoons) of Mannitol powder (in coffee and water) for up to three months on two different occasions with no noticeable relief of symptoms. But I am intrigued by the Clinicrowd olfactory results. Maybe it just takes a longer time. I’m going to give it a go again for 6 months. Six months might still not be long enough. In my case, it was more than one year before I noticed my sense of smell starting to return. And that is the only symptom to experience any noticeable improvement (so far). Thanks for you response. How much mannitol did you take per day? Did your sense of smell return completely? Since November 2016 I have been adding one level tablespoon of mannitol (approximately 10 grams) to my mug of coffee every morning (I weigh about 55 kg). My sense of smell started to return a few weeks ago (not yet reported to CliniCrowd). So far I’ve noticed that I can now once again smell my wife’s cooking, and my own body odour. Thanks for your response. Not sure which is worse, smelling or not smelling one’s own BO. I’d like to smell my wife’s cooking, or anybody’s for that matter, again. I’ve tried 20 grams per day for 3 months in the past with no side effects or benefit. Got to be patient! So, we’d like to increase HSP-70 to treat Parkinson’s by the use of mannitol, BUT, HSP-90 inhibition is being used in new cancer drugs. Ya know, the more I read, the more I understand that these bodies of ours are more complex than I’d ever imagined. It’s the old story of “If the brain was simple enough for us to understand it, we would be too simple to understand it”. It is true that HSP-70 interacts with wide spectrum of molecules, but raising simply HSP-70 levels alone is unlikely to result in cancer. Regardless, a check up with one’s doctor is advised before any changes to a treatment regime.